We're not sure the trend will catch on, but S60 Cross Country models have a good set of features and plenty of capability for around $45,000. The 2017 Volvo S60 is a solid alternative to those tired of the German sedan game. It's not as flashy, but it is more sensibly priced. The 2017 Volvo S60 sedan isn't completely new from the automaker, but it's still relatively significant. It's the first year the Swedish automaker has offered all 4-cylinder engines in all of its cars and SUVs, and it's the first year that a base S60 model can be fitted with all-wheel drive. 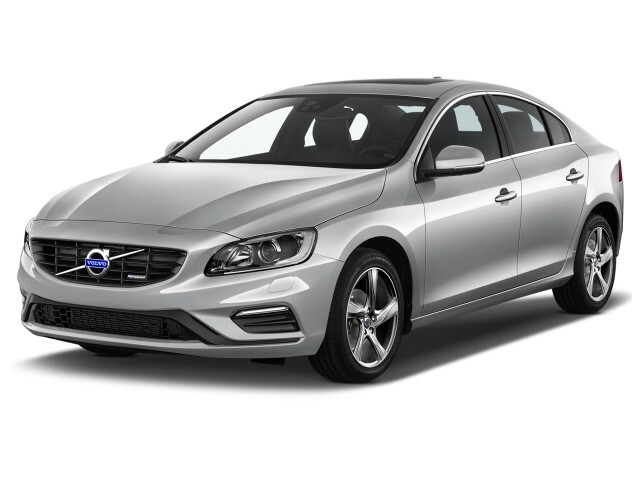 The S60 comes in sporty Dynamic and R-Design trims, long-wheelbase Inscription models, and lifted S60 Cross Country sedans that are sold in extremely low volumes. The S60's organic lines and sweeping curves have paired well with its wedge-like profile, even if the car is nearly a decade old at this point. We like the clean, clutter-free design outside, but that same approach inside is looking plain compared to other luxury sedan competitors. Long-wheelbase models, which Volvo calls Inscription, add 3 inches of leg room for rear passengers without compromising the look. Taller S60 Cross Country models add 2.5 inches of ground clearance, although it's a little stilted in our yest. Inside, the Volvo's interior beyond its all-digital instrument cluster is starting to age and look relatively plain. The black dash is textured, but it's a span that could use a little visual separation. 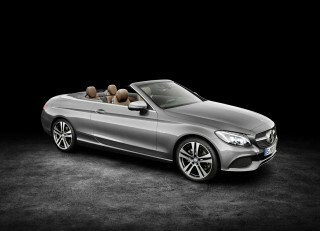 Under the hood is a base turbo-4 that makes 240 horsepower and is paired with an 8-speed automatic. All-wheel drive is a $2,000 upgrade here (and mileage takes a hit too) for the first time in 2017. It's not the most refined mill we've come across, but it adequately powers the S60 down the road and up to 60 mph in 6.0 seconds. We'll stop short of outright blaming the 8-speed for hamstringing the little 2.0-liter engine, but we can say the transmission could use a little more work. An optional turbocharged and supercharged 2.0-liter inline-4 is available in T6 models and in R-Design versions of the S60 that makes 302 hp and helps perk the car up a little more. 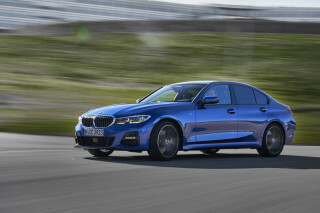 It's also paired with the same 8-speed and all-wheel drive is standard on those versions, but the additional 250 pounds of running gear keeps the car from being a performance pick. Volvo's front seats are some of the best in the business, according to our backsides. We've logged hundreds of miles in the S60 behind the wheel and felt ready to run a marathon after. If you're not fortunate enough to drive or ride shotgun, the S60's back seats are spacious (even luxurious in Inscription versions) for two more adults. Credit Volvo's packaging—which in traditional Swedish fashion—that's highly efficient. The S60 defies its age in how well it crashes, earning some of the top safety scores in the automotive world. It aced federal tests, and earned the IIHS' Top Safety Pick+ award, and sports some of the most advanced safety features on any car. So why didn't it ace our safety test? A simple rearview camera isn't standard on the S60 (it is on the XC60) and is buried in a pricey options package that left us shaking our fists. Beyond the optional safety camera, the S60 is well equipped for roughly $35,000 to start with leather seats, a 7.0-inch infotainment screen, Bluetooth streaming, and a moonroof. Comparable Germans can cost up to $10,000 more. Other options include more advanced safety features such as forward collision warning with automatic emergency braking, and bigger wheels. The S60 is a Volvo through and through, albeit a slightly older one at this point. The 2017 Volvo S60 doesn't break any new ground for sedans, but its conservative look has aged relatively well. Compared to newer Volvos, the S60 still carries the corporate water, but without some of the flash of the others, such as the "Thor's hammer" headlights. 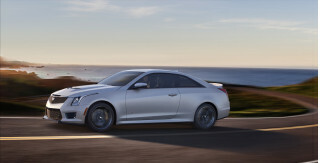 Its smooth contours and sweeping lines are classier, and the S60's organic details and alloy wheels still look sharp. Inscription models, with a 3-inch longer wheelbase, borderline on elegant. The S60 Cross Country's exterior looks a little stilted next to regular sedans, but the overall effect is somewhat rugged. Inside the car, the black dashboard is relatively plain—at a time when more and more sedans are adding leather, contrast stitching, metal brightwork, and other luxury accoutrements. The S60's dashboard is businesslike and the antithesis of showy, somewhere between a very high-quality Subaru dash and the more stark end of the German luxury cars it's priced against. The dash angles toward the driver, with a large high-resolution display of all virtual instruments in the cluster. They're bright, clear, and thoroughly modern. The floating center stack remains, though for some reason the space underneath seems less obvious—perhaps because it's no longer a novelty as it was five years ago. And for those who want to add some warmth to the interior, the optional two-tone treatment is exceptionally nice, while remaining as non-garish as you'd expect from sensible Scandinavian designers. Higher trims get slightly better performance, but its overall weight and cost is enough for pause. The 2017 Volvo S60 doesn't come in the dizzying array of powertrains it once did, which should be good news for many shoppers, but not-so-good news for performance enthusiasts. The base turbocharged 2.0-liter inline-4 in T5 models makes 240 horsepower and can be paired with all-wheel drive, which is new for 2017. It completes Volvo's transformation to all 4-cylinder cars throughout their lineup, but we've found the engine to be a little rough around the edges. Its direct injection and start/stop technologies sound coarse on startup and in stop-and-go traffic, although Volvo's engine mounts quell any shaking. Volvo claims the T5 will run up to 60 mph in 6.0 seconds, although the 8-speed automatic is eager to shift up to save fuel. Stepping up to T6 models and its turbocharged and supercharged inline-4 helps. That engine makes 302 hp and is paired exclusively with all-wheel drive. It feels stronger and helps motivate the S60 up to 60 mph a half-tick quicker, but its running gear adds about 250 pounds to the S60's waistline. Any S60 steers and handles well. Drivers can select three suspension tuning options, and there are also three modes for the Drive-E engines: Drive is the default, Sport retunes power delivery and shift points for quicker response, while Eco+ enhances fuel efficiency. All-wheel-drive S60s are heavier than they may appear, but the lighter weight of the Drive-E engine makes the front-wheel-drive versions nimble and very responsive. Regardless of powertrain, the S60 is agile enough for hairpin mountain curves and maneuverable enough for tight city streets—and its turning circle proves to be tighter than you may expect in a car this size. The Cross Country's extra ride height can be felt in corners, but body lean isn't excessive and it still handles much like the other S60s. The top-spec R-Design comes with a sportier suspension tuning, which provides crisper handling, and larger 13.2-inch front brake discs for stopping under hard driving. It's isn't as sharp on the race track as you might hope, though, so might not be the satisfying option for track days. With some of the best front seats in the business, Volvo's S60 is a comfortable cruiser. The S60 competes against the compact BMW 3-Series and Mercedes-Benz C-Class, but the Volvo's spacious cabin punches above that weight class in our books. Part of that comes down to packaging and in the ways the efficient Swede uses its space. Big, plush bolstering in the front thrones may make it a tight fit for corn-fed lumberjacks, so we'll adapt the "80/20 rule" here: 80 percent of adults will want to spend 20 years in seats like these. We've clocked hundreds of miles in an S60 and emerged as fresh as a fall morning. Yeah, they're that good. Back-seat passengers get the relative short end of the stick, but they're not bad places to be. S60 Inscription models benefit from 3 inches of extra leg room, but we've found that even base S60s have enough room for 6-footers behind 6-footers. Head room only becomes an issue for tall people once they push back to the head rest, but our 6-foot-2 editor found just enough room to fit in the back. Trunk space is also voluminous, as you might expect from the high tail and fastback-like line of the rear bodywork. The rear seatbacks, split 60/40, fold forward and also include a pass-through for skis. The S60 isn't the single quietest car we've been in, but it's hushed under most circumstances and noises from wind, tires, and road surfaces are mostly well-suppressed. The car offers a wide range of chassis settings—firmness can be set to Touring or Dynamic, and increased driver control is available through Comfort, Sport, and Advanced modes. Normally, the fact that Inscription models are assembled in China could be cause for concern. Because Volvo is owned by a Chinese company, however, it doesn't have to deal with the usual local partnerships and was able to build a factory that operates just as its Swedish and Belgian factories do. We found the fit and finish on our first-drive test car to be indistinguishable from S60s built in Europe. The S60 is tantalizingly close to acing our safety test. The 2017 Volvo S60 was just so close. 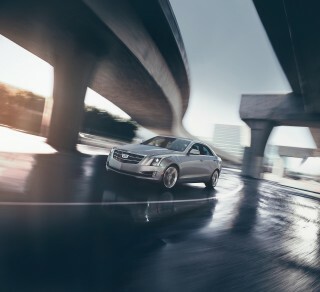 The Swedish sedan comes packed with some of the best safety scores on the planet: five stars across the board from the feds; top marks from the IIHS, including a Top Safety Pick+ award; affordable and useful advanced safety features; and excellent outward visibility. About those test scores: they've helped keep an old structure relevant for Volvo, long past the car's expiration date. 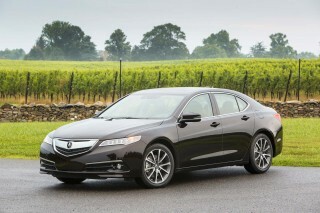 Federal testers gave it five stars across the board, including five stars for rollover protection. The IIHS gave the S60 top "Good" marks in every test, including the notoriously tricky small overlap front crash, where many cars that are just as old as the S60 have failed. If history is any indication, the S60 will likely pass future tests too. Base S60s don't come equipped with as many active safety features as pricier XC60s, but the list is still impressive: low-speed crash mitigation, traction control systems, and a standard set of airbags for driver and passenger. A $1,500 technology add-on adds adaptive cruise control, forward collision warning with automatic emergency braking, lane-keep assist, and automatic high beams. That rearview camera is part of a separate $1,950 "Vision Package" that adds blind-spot monitors with rear cross-traffic alert and keyless ignition, but subtracts a point in our book. The S60 is nicely equipped, coming in thousands less than other competitors. The 2017 Volvo S60 offers multiple entry points for buyers interested in a luxury sedan, but looking to suit it to their own needs. The S60 is available in sportier Dynamic and R-Design trims, a long-wheelbase Inscription luxury trim, taller Cross Country versions, all of which are handsomely equipped to start. Starting at $34,945 for a T5 Dynamic model, the S60 comes equipped with a 7.0-inch infotainment screen, Bluetooth streaming, leather seats, a moonroof, a leather-wrapped steering wheel, 18-inch wheels, and xenon headlights. 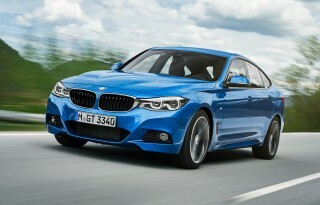 A comparably equipped BMW 3-Series costs nearly $10,000 more. Adding all-wheel drive to T5 models costs $2,000 more, and Volvo's most popular safety package that adds blind-spot monitors with rear cross-traffic alert and a rearview camera runs $1,950 more. We're not crazy about burying a rearview camera in a pricey package like that, but we suspect that many cars will be fitted with one by the time they leave dealer lots. S60 R-Design models have many of those options standard—including all-wheel drive, 19-inch wheels, and a Harman Kardon premium stereo—and cost $48,395 to start. 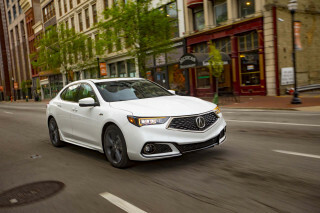 Taller Cross Country models—which sport 7.9 inches of ground clearance, 2.5 inches more than a normal S60—are equipped nearly identically to the R-Design models, but have a smaller engine and 18-inch wheels and start at $45,395 to start. Those models are extremely limited (fewer than 500 a year are sold in the U.S.) and only come in a single color, and are all nearly identically equipped. Heated front seats are a stand-alone option on all trims and cost $500. The long list of available engines in the S60 are gone; the two most efficient versions remain. The 2017 Volvo S60 pares down from last year the number of available engines from four to two, and thankfully the remaining options are the most efficient. A front-drive T5 S60 with a turbo-4 and automatic transmission is the most efficient option, and we're guessing it'll be the most popular. It's rated by the EPA at 25 mpg city, 36 highway, 29 combined. Adding all-wheel drive to the T5 drops fuel economy down to 23/31/26 mpg, according to the EPA. Stepping up to the T6 S60, with its turbocharged and supercharged inline-4 and standard all-wheel drive, isn't a huge penalty from there: 22/32/26 mpg. The low-volume S60 Cross Country models are rated at 22/30/25 mpg and the thirstiest Polestar versions are rated at 20/27/23 mpg. 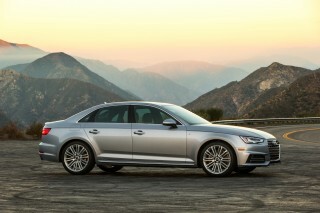 Comparison shoppers should note that only the most frugal, 2017 Audi A4 Ultra models manage significantly better mileage than the Volvos at 31 mpg combined.